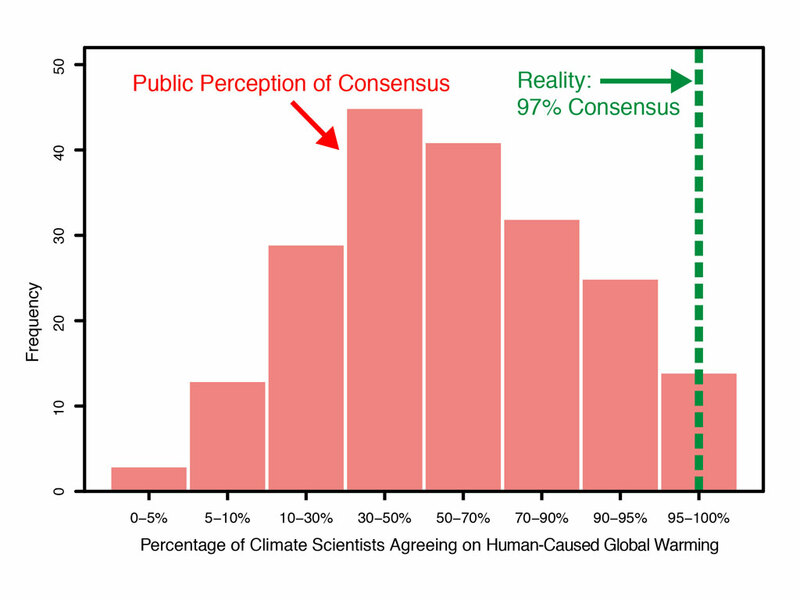 There is a long-standing public misperception of the scientific consensus that climate change is human-caused. Various studies since Oreskes (2004) have found a consensus of above 95% among scientific publications that express a conclusion. However a Pew public opinion poll in 2012 revealed that many people had a perception that scientists were evenly divided. This is a huge divergence between perception and reality. New meta-research on the scientific literature confirms previous estimates, finding 97% agreement in the twenty year period to 2011, with a slight increase in strength by 2011. The new study adds to bibliographic survey the results of a survey of authors. A short article by lead author John Cook, with video clip, is available at SkepticalScience.